Every year I struggle with sticking to our schedule when spring arrives. After the long, cold winter days, we just want to spend time outside enjoying the sunshine and nature. Spring really is our favorite time of the year, but that doesn’t mean we can abandon our homeschooling. At least not completely. And I know I’m not the only one. Each year I get email after email and comment after comment about how tough it is to stay focused and actually finish the school year with spring calling their name. And more often than not, kids get restless and they want to be outdoors just as much as you do. So how can we ensure that we finish strong during the beautiful days of spring? During the month of March, we are going to share some great tips, ideas and even fun printables to help you finish strong! This is the place where you will find everything related to the series. 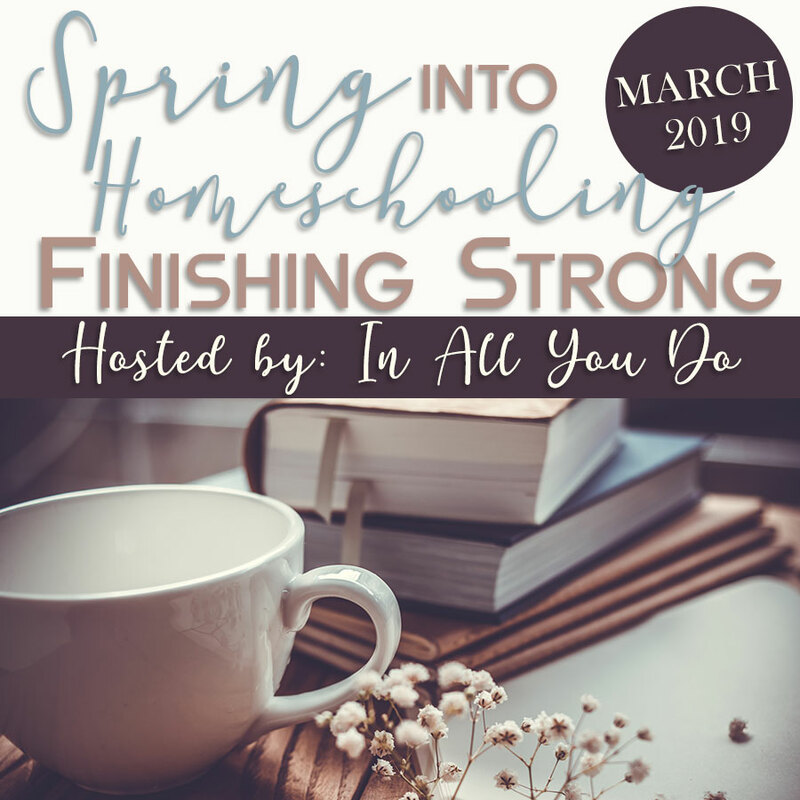 We will also be sharing and chatting about finishing strong in the In All You Do Community on Facebook. 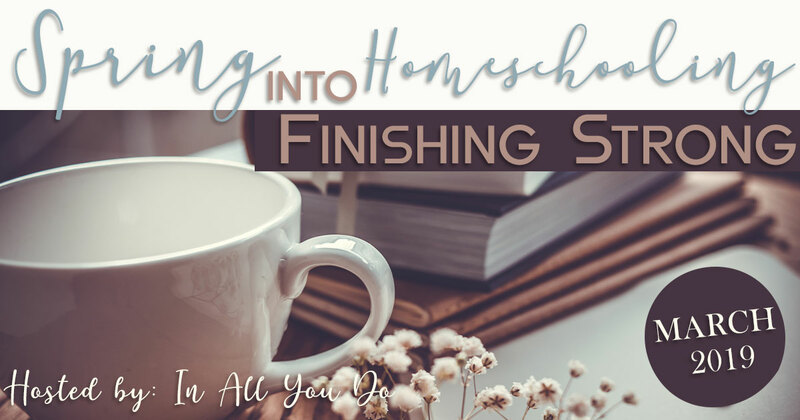 This is a small, but growing group of homeschool moms just like yourself who want to homeschool to the best of their ability. All the posts from the series will be shared there each morning, Plus there will be exclusive giveaways only shared in the group, information about our amazing series sponsors and a Facebook Party to close out the month on the 28th of March! If you’re not a member, be sure to request to join, so you don’t miss a thing! 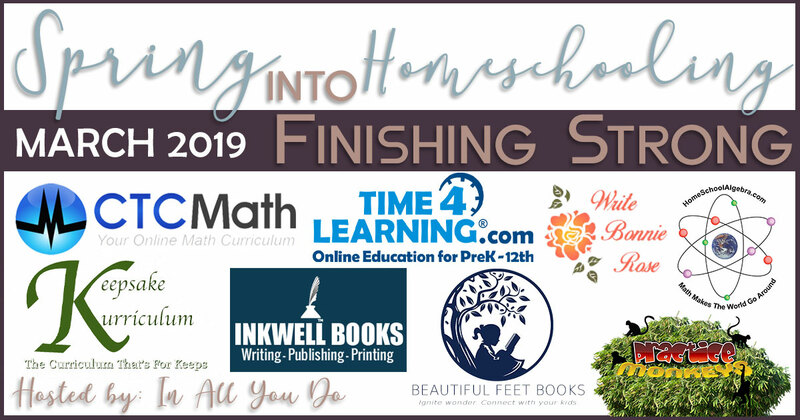 We are so excited to be partnering with some amazing companies this month to bring you encouraging posts, awesome giveaways and printables to help in your homeschool journey! 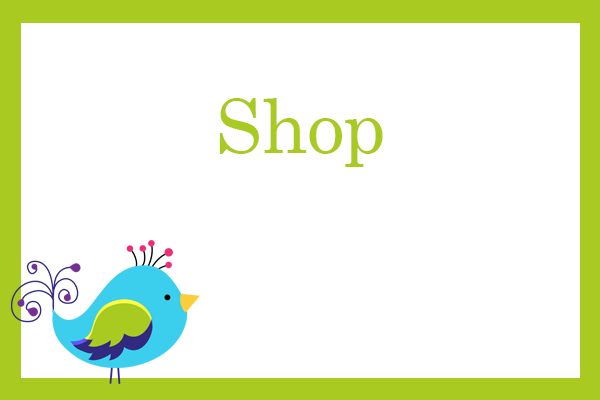 Be sure to visit each of them and check out the amazing products they have to offer. 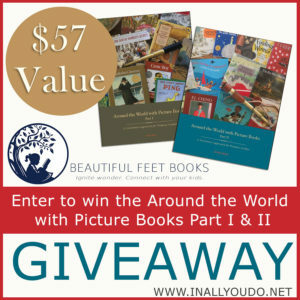 BEAUTIFUL FEET BOOKS – They have a vision to transform education by “fostering connection, cultivating curiosity, and promoting beauty.” They believe that you can learn history through literature, which not only gives the child a solid “understanding of the subject,” but “will also [help them] develop a love of learning that is far more valuable.” By choosing the best books available and creating teacher guides, they enable parents to teach the subjects with ease. 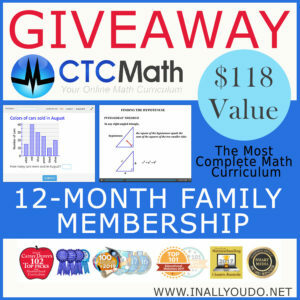 CTCMath – An online math curriculum for children grades K-12, CTCMath can be used as a supplement to help kids catch up, improve their math skills or advance more quickly. 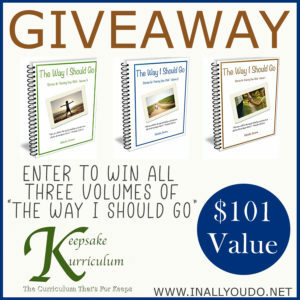 It is a self-paced video course, which makes it ideal for homeschoolers. It includes automatic grading and full control by the parent to set the number of questions per lesson as well as the minimum”passing grade”. Read all our reviews of CTCMath. HOMESCHOOL ALGEBRA – Many homeschool families struggle with math, especially in the upper grades. The creator of Homeschool Algebra, Clark Brown, has taught all levels of mathematics for over 30 years. 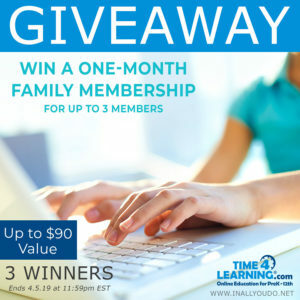 Between this experience and homeschooling his own children, he understands the need for support in math for homeschool families. Homeschool Algebra provides just that and more. 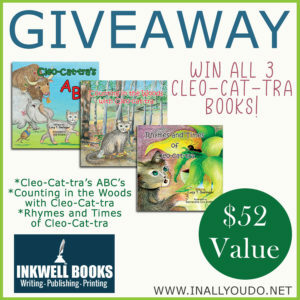 INKWELL BOOKS – Do you have a book or a series of books you would like published? Inkwell books enters “into a creative partnership” with its authors to help them find and develop their own unique voice. They then move the book through all the necessary steps for publication, resulting in a “professional quality, marketable publication” ready for distribution both domestically and abroad. 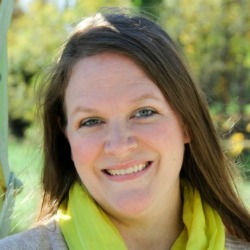 KEEPSAKE CURRICULUM – Keepsake Curriculum was started by Cindy Voss out of a desire to raise beautiful Biblical daughters and Biblically defined sons that led to the concept of Keepsake Curriculum. They create and share resources for the spiritual and academic training for your children, the future generation. They also have curriculum for Bible, Language Arts, Science, Art and Music, Math and Social Studies; as well as a collection of stories and activities to enhance your child’s playtime, making it both edifying and fun! 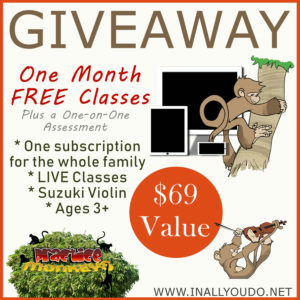 PRACTICE MONKEYS – They offer LIVE online, video-based music lessons teaching both Suzuki violin and Piano classes. Every class is unique and tailored to the student’s needs. With the online class format, you can have class anywhere you have an internet connection. The flexibility of the program is perfect for homeschoolers, or anyone ages 3-99+. It’s never too early, or late, to start learning how to play an instrument! TIME4LEARNING – You can use Time4Learning as a primary curriculum or a supplement for grades K-12. They offer automated grading for lessons, lesson tracking and record keeping all in one convenient program. Time4Learning gives students the independence they want, while allowing them to move at their own pace. Since it is a web-based curriculum, members can access their account and lessons 24/7/365, which makes it flexible and perfect for homeschoolers. 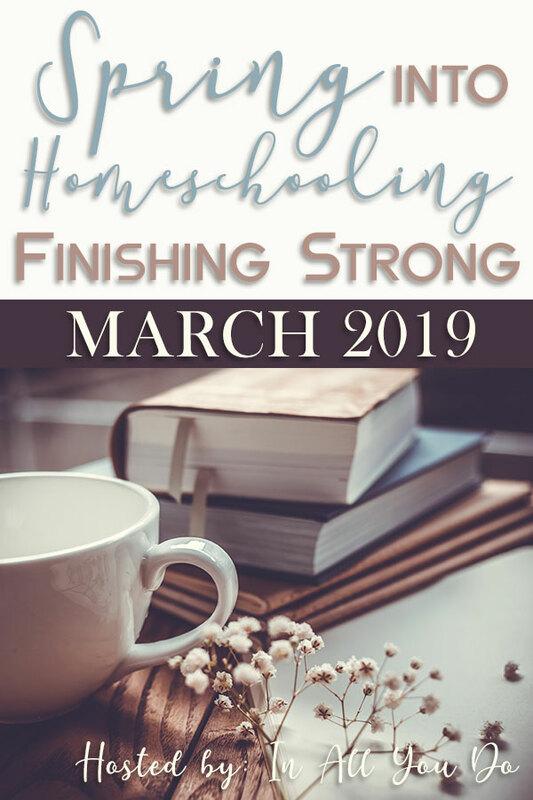 This month we are sharing encouragement, tips and ideas to help you in your homeschool journey and push through the spring to finish strong. Visit here to find all the posts in our series. They will be updated daily, so you can keep up easily. 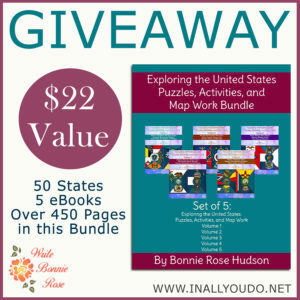 And don’t forget – some of them will even have free printables you don’t want to miss! These giveaways have ended, but we would still love for you to visit our sponsors!